Yar! There be a plot device up ahead. Honestly, who can resist a talking pig? 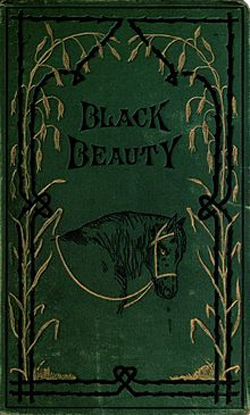 Animals have been a staple of literature since the dawn of time, but many actually claim the starring role. Whether it is George Orwell's Animal Farm with totalitarian pigs or Haruki Murakami's Kafka on the Shore and his classic talking cats, these animals give the narrative a well blended balance of the human and animalistic qualities of a society. Here are our five favorite ones, straight from the horse's mouth. Seeking to take possession of the farm, a group of unruly the pigs and a few other animals vow to create their own society in which they have established rules of conduct. The pigs slowly begin to incorporate human characteristics and behavior that is indicative of a power struggle between the various animals on the farm, resulting in a type of corrupt society that has been evident throughout human history. The animals become the very embodiment of the weakness inherent in mankind and exposed through the lens of a seemingly inferior species. Never again will you sing "Old MacDonald Had a Farm" without getting a chill down your spine. In this ode to magical realism, Murakami introduces talking cats in order to relay crucial information to Nakata, one of the novel's central characters. The cats become the missing link between the mythical and cryptic Johnnie Walker, who is killing them tortuously and slowly in strange connection to the parallel plot of Kafka's estranged father. For any Murakami fan, we know that cats are a recurring feature, but the use of anthropomorphised animals helps readers recognize that our two worlds are never far apart. 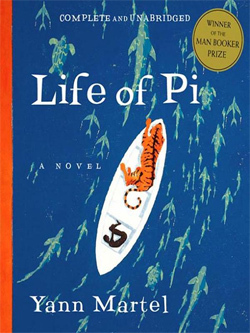 The famous ambiguous ending of Life of Pi incorporates the idea of human beings turning as savage as animals in the midst of a crisis. Pi develops his story on the basis that his companions aboard the lifeboat are animals, but by the end of the novel he has given us two versions with remarkably similar accounts. The cook, Pi's mother, Pi, and the young man all have their animal counterpart, and suggests there is a fine line between what we might associate as animal behavior and how strikingly brutal we can be when helpless. Anyone who denies crying when Charlotte reveals her "magnum opus" is obviously a bald-faced liar. Who knew a talking spider and pig would go on to inspire a generation of vegetarians (and reformed arachnophobes?) Within a short span of pages, Charlotte and Wilbur take on heady issues like death, grief, and self-importance. The book may have been aimed at a younger demographic, but there's no denying that these anthropomorphic animals jerked a tear or two from many adults as well. Credit: Flickr user PetAdviser. Used with Creative Commons license.